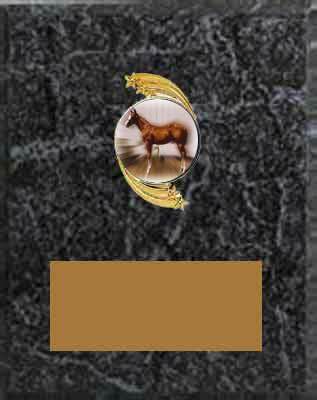 Welcome to our equestrian plaques awards page, as you scroll down you will find links to our equestrian plaques in different styles. Our image plaques awards are available with a large selection dressage pictures, horse show and rodeo images. 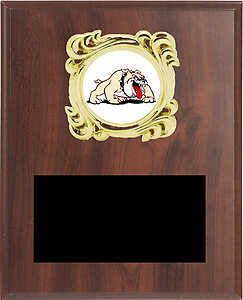 Click on one of the plaques to see price, size and images available. 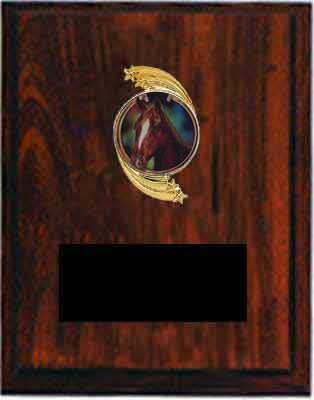 Most equestrian plaque award come in your choice of cherry finish, black marble finish or the always beautiful solid walnut plaque. 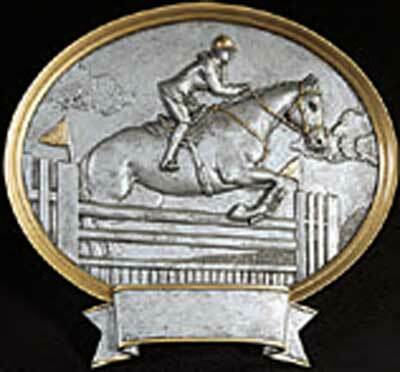 We also have the classy resin oval equestrian plaques. Our deluxe equestrian plaques feature a larger and fancier engraving plate. 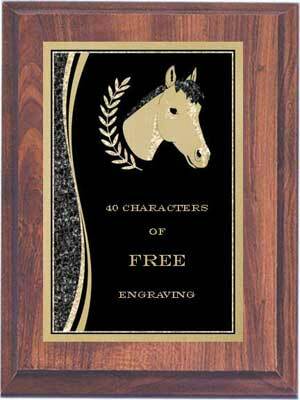 All our image and resin oval equestrian plaques include 40 characters of free engraving. Some horse show clubs prefer to use pictures of their members and their winning horses. For those clubs we offer the slide in photo plaques. Slide in photo plaque are charged for all engraving at 7 cents per character. If you like our equestrian plaques, we will do our best to provide you with friendly, dependable and on time service. 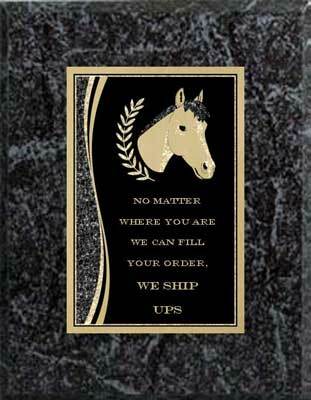 Shipping cost will be reasonable and most equestrian plaques are shipped by UPS. If you have any questions or would rather place your order by phone, please call 1-800-787-8777.